Where do I find the downloads for Focused Flexibility? 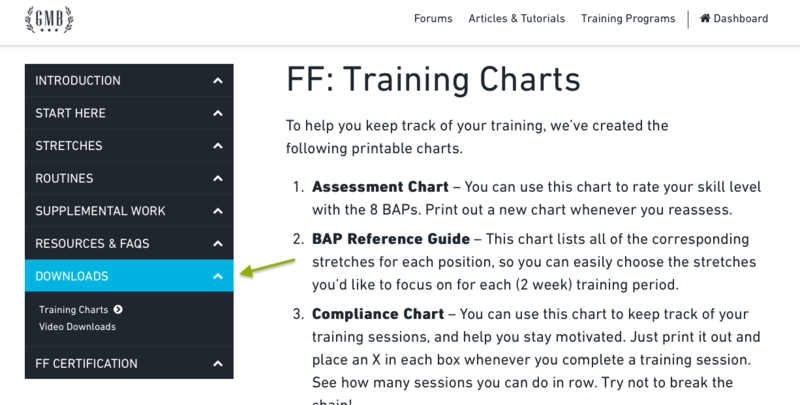 We’ve designed Focused Flexibility to be easily accessed via any web browser with an internet connection, but for your convenience, we’ve also made all of the main tutorial videos downloadable. So if your internet connection is spotty or non-existent in your training location of choice, you can download these files ahead of time and have these tutorials available offline.